CHARLES CITY — Rep. Todd Prichard, D-Charles City, today announced the formation of a committee to explore a possible run for Iowa governor. “Iowa needs fresh leadership with the vision to drive meaningful econ growth across the entire state,” he posted on Twitter. Representative Todd Prichard was born in Davenport, Iowa to Phil and Delaine Prichard. The Prichards were small business owners who operated a carpet cleaning business. After graduating from Davenport public schools, Todd attended the University of Iowa. In addition to studying political science and history, Todd enlisted in the Army Reserve and participated in the Army ROTC program to help pay for college and fulfill a desire to serve his country. After graduating as the Distinguished Military graduate, Todd commissioned into the Regular Army as an Infantry Lieutenant. After officer training, Todd deployed with the First Cavalry Division as a rifle platoon leader to Kuwait as part of Operation Desert Spring. After returning to Iowa, Todd joined the 1/133 Infantry Battalion of the Iowa Army National Guard in Dubuque and started law school at the University of Iowa. Todd met and married Ann Stecher, a teacher in Van Meter. Todd was once again called to deploy with his National Guard unit to Egypt for six months as part of an international peacekeeping force. After his deployment, Todd returned home and graduated from law school. After graduation, Todd and Ann moved to Charles City, where he started working as an attorney. A year later, Todd deployed again with the 1/133 Infantry Battalion to Iraq, serving as the Company Commander. Todd returned to Charles City to rejoin his family and resume his legal work. Two years later, he opened his own general practice law firm. He also served as the Assistant Floyd County Attorney, where he prosecuted drug and violent crime, including domestic abuse cases. Todd continues to serve in the Army Reserve at Fort Des Moines, Iowa, and now serves as a Lieutenant Colonel in charge of distribution management for the 103rd Sustainment Command. In 2013, Todd ran for special election and won his first term in the Iowa House of Representatives. While in the legislature, Todd has reached across the aisle to address important issues like human trafficking, water quality, veteran’s affairs, rural development and job training. While in the legislature, Todd has been recognized as Legislator of the Year by the Iowa Sheriff’s Association and the Iowa League of Cities. Locally, Todd has volunteered his time to a variety of causes including job training, flood protection, and providing school supplies to area children. He has assisted wounded warriors and local veterans and served on the board of the Charles City YMCA and the Learning Center of Charles City. He remains active today, including his work with “Be The Bridge” that seeks to improve race relations in Floyd County. 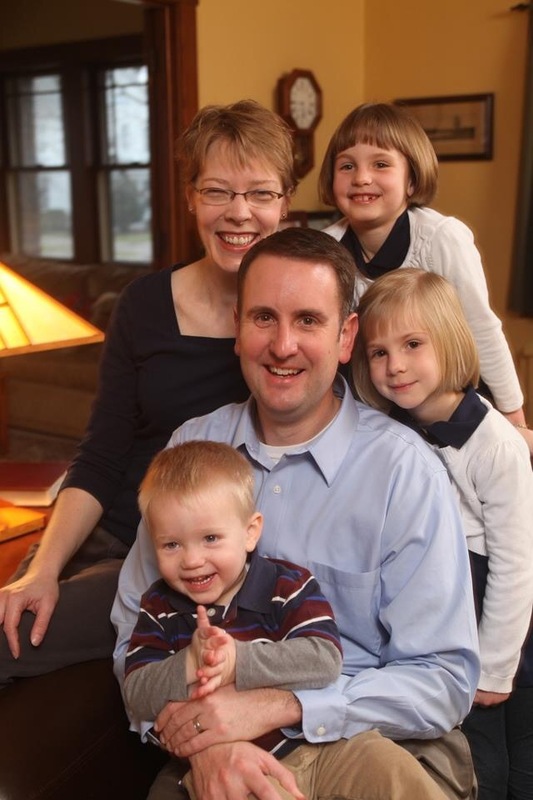 Todd and Ann live in Charles City with their three children, Kate, Emma and Owen. Ann works as the Talented and Gifted teacher at Charles City schools. The family attends St. John Lutheran Church in Charles City.